Sealing slate floor tiles will keep them from staining and cracking. 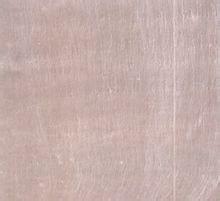 Though most installers don't seal slate tile, it's easy enough to do at home. It will keep the tile free from needing repairs or replacements for many years. It can also give slate tile a new look, depending on the type of sealant that's used. Firstly, choose a finish for your sealant. Pick between a glossy finish or a matte seal. Pick either a penetrating sealant that will create a stronger seal or a topical one that coats only the surface. Choose a water-based sealant if you are worried about the level of toxic fumes. 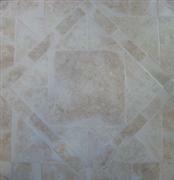 Secondly, purchase the tile sealant from a home improvement or hardware store. Thirdly, allow the mortar to dry before grouting the slate tile. Add your chosen sealant into the grout mixture for extra water resistance. Fourthly, allow the grouted tile 1 week to dry. Clean the tile a few times to ensure that any remnants from the grout are washed away and will not affect the texture of the tile. Fifthly, allow the tile to dry thoroughly after it has been washed. Sixthly, follow the grain of the tile when applying the sealant. Make sure to apply it in an even coat, with no streaking or puddles left behind. Ventilate the area as much as possible, since most sealers give off toxic fumes. Seventhly, allow the tile sealant to dry on the slate for about 2 hours. Apply a second coat of sealant and allow it 2 hours to dry before walking on the tile or putting furniture on it.